Aero Express is the only US Authorized Distributor for the Tel-Instrument T-30D Ramp Test Set. Aero Express will buy, sell and trade the Tel-InstrumentT-30D depending on your needs. The T30D Ramp Test Set is designed for one-man operation of the VOR, MB, GS, LOC, flight director, and autopilot from the cockpit or flight deck. Built into a rugged and durable case, the T 30D will permit compliance with CAT III periodic ramp check certification in all weather conditions. 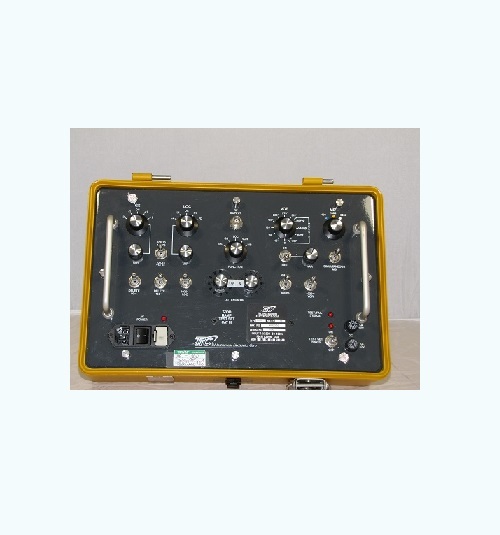 Express Calibration is the Authorized ISO-17025 Calibration and Repair shop for the Tel-Instruments TIC T-30D. Visit www.expresscal.com for full capabilities.